There are many reasons to buy a Lake Oconee Townhouse. Lake Oconee offers many housing styles for the buyer including a variety of townhouses and condominiums, both inside and outside gated communities. What is the difference between a townhouse and a condominium? A condominium is defined by ownership, the owner does not own the exterior wall, roof, or ground. A townhouse is more a style of building, usually more than one story that may be in a row, in which the owner is responsible for exterior maintenance. However, a condominium may also be a townhouse in style. In a condominium, all the exterior maintenance is performed by a HOA (Home Owner’s Association) to which each individual owner contributes periodic fees. Why buy a condominium or townhouse? A few negatives of a condo or townhouse are that there is often shared parking, and sometimes there are restrictions enforced by the HOA. There are condominiums here at Lake Oconee in all of the gated communities, the lake communities, and the residential towns. 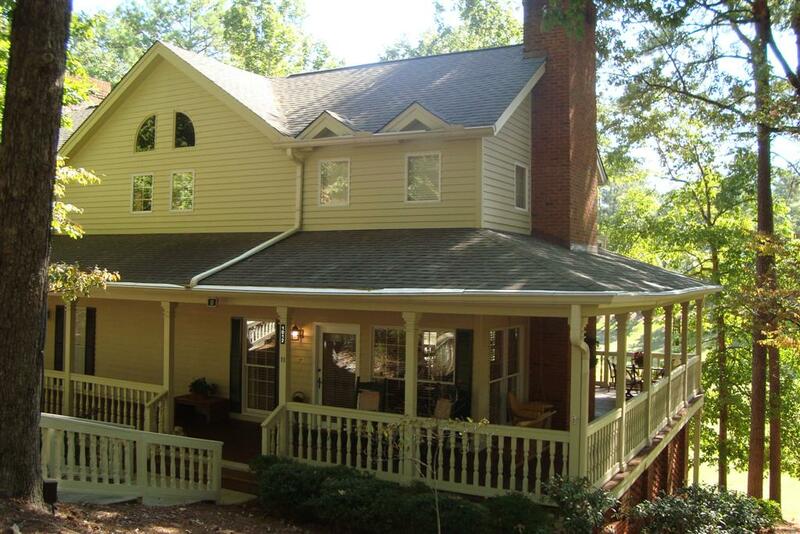 The one we feature here is in the gated community of Reynolds Plantation and is located at 1012 Cupp Lane. This townhouse is conveniently on the Plantation Golf Practice Range, and within walking distance of the tennis courts, pool, and Plantation Clubhouse. This townhouse is part of a duplex, thus only abuts one other property so noise is limited. This unit was seldom used, and is in immaculate condition. Truly a Lock-and Leave second home, all furniture, linens, art, and appliances remain with the townhouse. Upscale features of this property include granite counter tops in the kitchen, jetted tub in the master bath, two fireplaces, and porches on all three levels. 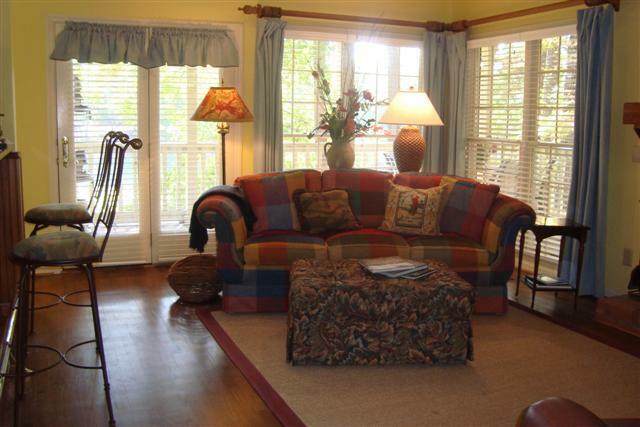 The three bedrooms have privates baths, and the entire home is professionally decorated. This exclusive Reynolds Plantation Townhouse is listed for sale at a low $350,000.00. Just bring your toothbrush, and relax in the Lake Oconee’s most desirable community. For more information on this and other Lake Oconee Townhouses, contact Suzie or Jim Hudson, 706-453-6253. To search all Lake Oconee properties for sale, go to RE/MAX Lake Oconee.